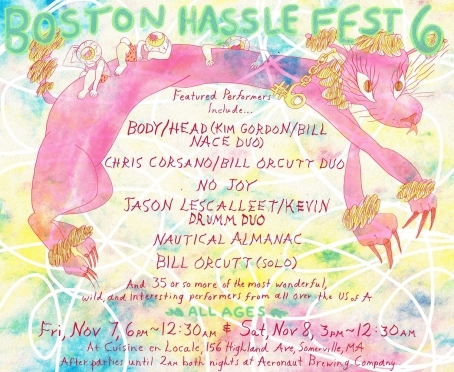 On November 7 & 8, Boston Hassle Fest 6 will be taking over Cuisine en Locale in Somerville, Massachusetts, bringing with it an incredibly talented lineup of underground and not-so-underground acts from the States and abroad. After the immense success of last year’s festival (sell-out crowds gathered to see the likes of Black Dice and Lightning Bolt), this year’s offering is shaping up to be even more impressive. Headliners include No Joy, Chris Corsano/Bill Orcutt Duo and Body/Head, the latest project from Kim Gordon (Sonic Youth) and Bill Nance. 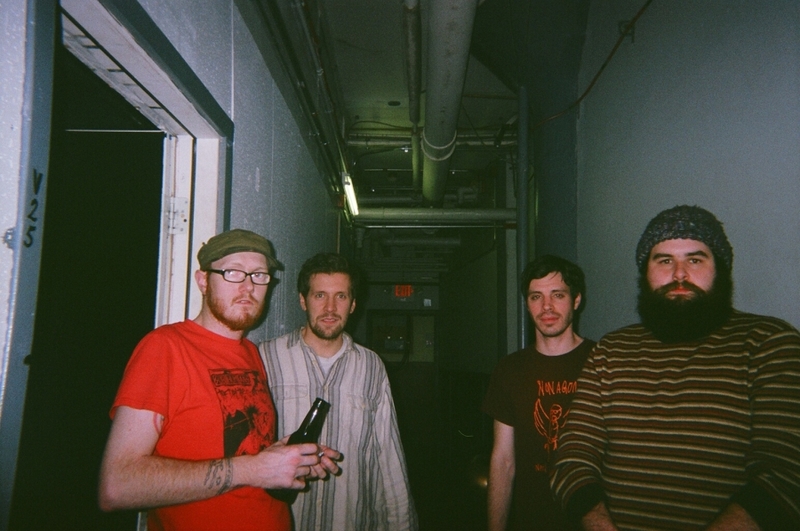 The focus won’t be entirely on the nationally-known acts--local and regional favorites like Guerilla Toss, Pigeons, Couples Counseling and Pile are among the will be among the roughly 40 performers to take the stage over the two-day aural extravaganza. Advance tickets are no longer available, but tickets will be sold at the door each night of the fest until the venue reaches capacity. $17-20 sliding scale, ALL AGES. Friday’s performances run from 6PM to 12:30AM; Saturday 3PM-12:30AM. 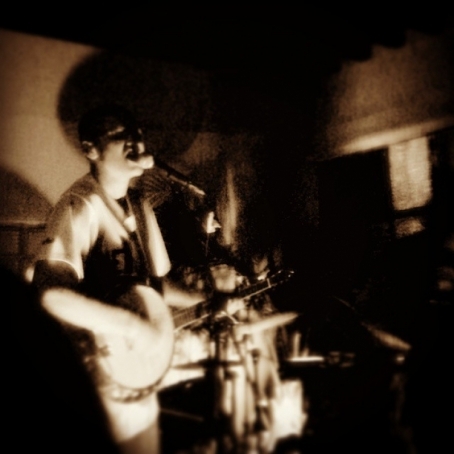 After-parties will be held each night at a “secret” location, announced at the fest. For more info about Hassle Fest 6 (and to check for updates about set-times, etc.) 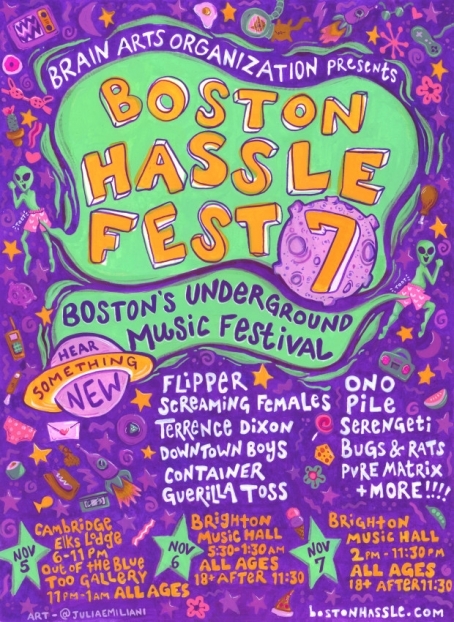 visit the Boston Hassle Facebook page or check out the Boston Hassle website.